The Pacific Ocean and the Caribbean Sea have always played a very important role in the history of Honduras. That is why they were selected as the inspiration for the design of this typical costume. 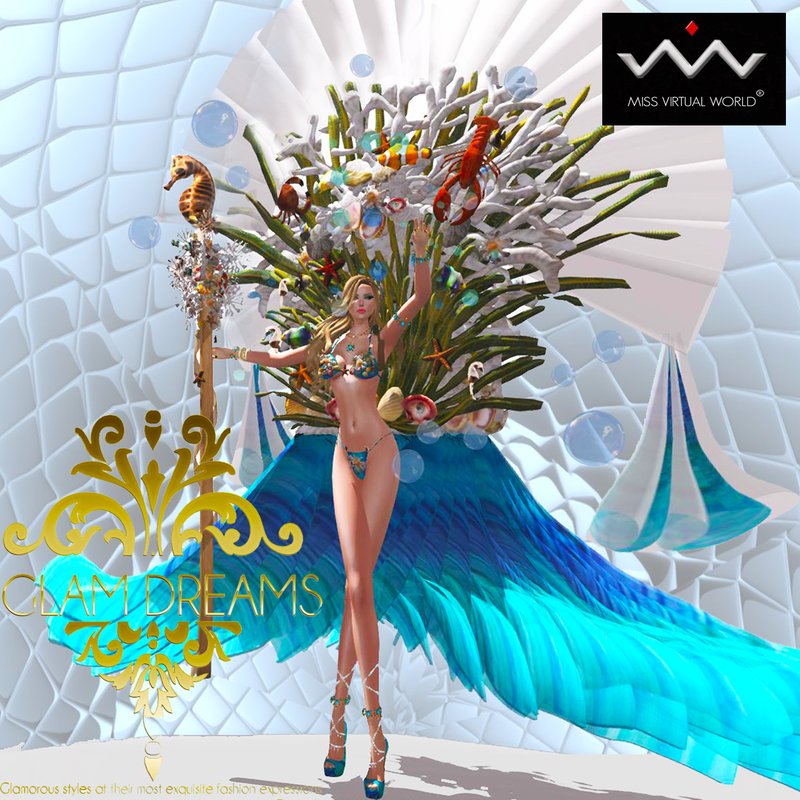 The Glam Dreams MVW Honduras costume was also inspired by the many spectacular beaches found in Honduras. The lovely top design symbolizes the white sea foam produced as the waves crest over the amazing corals and sea creatures, as well as the land between the ocean and the sea, the peace and prosperity of the Honduran people, and the purity of thoughts. The sides of the Fan Coral symbolize the white and blue colors of the Honduran Flag. Its lower part has a long delicate train that blends the colors of the crystal clear ocean and the Honduran Flag in a very subtle way, representing the blue sky and brotherhood of the Honduran people. This amazing costume also includes moving sea creatures and bubbles to portray a more realistic and natural environment. The Seahorse Sceptre represent the original Central American provinces depicted by stars in the Honduras flag. sandytpr Lysette owner of GLAM DREAMS STORES who kindly sponsored me with this amazing project!